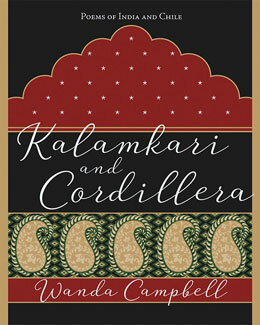 Wanda Campbell launches her fifth collection of poetry, Kalamkari and Cordillera: Poems of India and Chile, at the Acadia University Art Gallery, corner of Highland and Main. The Reading is open to all members of the public. Books are available for sale at the Box of Delights and at the reading.